The cost of disengaged employees is not simply an unpleasant workplace: it’s lost productivity, wasted money and inefficient teams. What is a “disengaged employee”? One who has no feeling of personal connection or pride in their work. This disengagement is contagious; research demonstrates that employees managed by disengaged managers are more likely to be disengaged themselves. So how do you foster an engaged workforce? This infographic from SocialCast has some great strategies for boosting employee engagement. But I think the real key is empowering employees to accomplish meaningful goals in their own way.My best friend, Holly Spoth-Torres, is the Superintendent of Parks in Anchorage, Alaska. She is responsible for overseeing the maintenance and stewardship of more than 11,000 acres of parkland, including natural forest areas, developed parks and special use facilities. She supervises more than 150 permanent and seasonal park caretakers, planners and gardeners, who, three years ago, were disaffected, disconnected from the organization’s mission and inefficiently deployed. In the two years since becoming Superintendent, Holly has transformed her team through a combination of management, learning and professional development strategies. Here we’ll take a look at what strategies worked for her, and in Part 2 we’ll talk about how you can put them to work in your organization. When she shouldered her duties as Park Superintendent, Holly found that the park operations teams in particular were disengaged and resistant to change. She also discovered inefficient distribution of resources, grievances filed with Employee Relations, a high number of incidents and accidents and that generally, people did as little work as possible because they were not held accountable for their results. Conditions in the parks were poor, and the community was dissatisfied. This resulted in high costs for accomplishing the bare minimum of well-maintained parks and recreation facilities. Holly spent her first four months on the job talking with the various stakeholders and getting their ideas about strategies for change. Some people displayed a willingness to engage in brainstorming for the future, and some did not, but either way, she got to know the large, extended workforce. In collaboration with the Department Director and municipal leadership, Holly created a complex and layered approach to redesigning her division. Before Holly’s time, park operations was organized on a functional basis. A “mowing” team drove all over the city mowing lawns. A “trash” team drove all over the city picking up trash and emptying trash cans. Holly created park operations “zones” and assigned multi-function teams to each zone. She also developed a simple and clear set of park maintenance standards with specific expectations for the condition of each park. Now that one cross-functional team was responsible for each specific park, both citizens and park management could address specific problems with specific park teams. On a greater level, each team is transparently accountable for conditions in each park. While Holly increased the overall structure for the park operations team, she allowed the teams the freedom to solve problems within that structure. She didn’t specify the way they scheduled their days or the way got work done. She created collaborative teams and then held the teams accountable for the results in each park zone. As her team and new structure encountered problems, Holly welcomed collaboration at every level. She led regular weekly all-team scrums for quick brainstorming, discussion, testing and deployment of new resources. She inspected parks often and spent time with her employees, understanding the bureaucratic, administrative and sometimes physical obstacles that stood in the way of improved performance. This is learning at its best: collaborative, informal, experimental. Holly empowered her teams by giving them a specific objective, making it possible for them to solve problems their own way and being willing to test new work processes continually. And it worked. “My involvement and engagement with my staff was rewarded at every step with improved engagement and involvement from them,” Holly said. A year after Holly put her new structure in place, she evaluated her team members (including herself) and gave very public recognition to high performers. She also restructured the teams to give high performers more freedom and responsibility. A few people left their jobs after realizing the work environment required more from them than they wished to give. 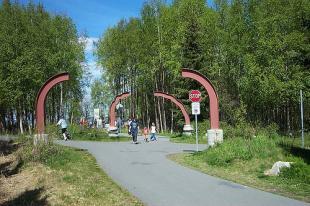 The results in Anchorage parks have been incredible. Basic metrics reveal fuel savings and reduced accidents and equipment damage from less time on the road. Overall, the park maintenance team is accomplishing more with less. Despite some layoffs and vacant positions, the park operations team is accomplishing the same level of park services, more efficiently. The community has noticed improved conditions in the parks, and has expressed their approval through letters to the editor of the local paper and to the mayor’s office. In Part 2 of this case study, we’ll think about how to apply the lessons from Holly’s success to create engaged workplaces in general.